Hi are these the marks of Solomon Hougham London 1816 & 1822? Are the marks on the same item? 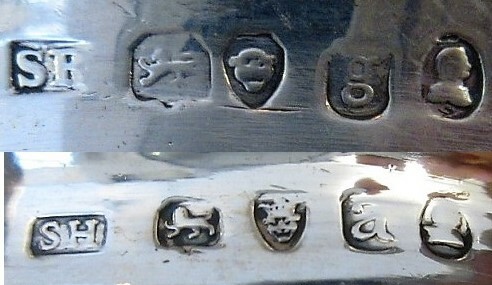 Different date letters and different initials. Trying to figure it out;where are the marks ? What is it ? An image of the whole item would be helpful. They are on the sides of a bowl & creamer. Thanks.Assembled tea sets are not uncommon;the same design of the period, two different makers.